We put together this infographic on data buoys for our Spring 2017 edition of the Environmental Monitor (PDF available online). 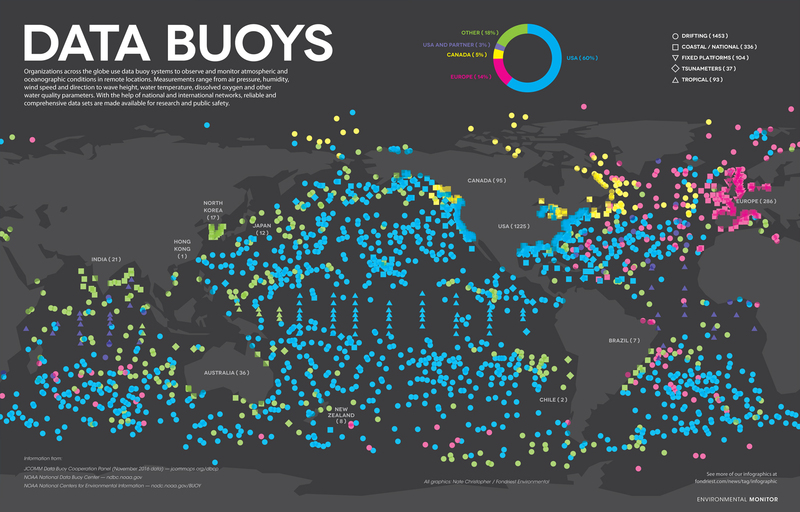 Organizations across the globe use data buoy systems to observe and monitor atmospheric and oceanographic conditions in remote locations. Measurements range from air pressure, humidity, wind speed and direction to wave height, water temperature, dissolved oxygen and other water quality parameters. With the help of national and international networks, reliable and comprehensive data sets are made available for research and public safety. You can also check out our previous infographics or subscribe to our magazine to make sure you never miss out.